We love a good bake for a comforting, warming Autumn dinner. 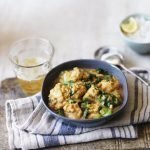 They’re also super simple and made with fewer dishes as possible so those evenings where a good rest is vital, this dish will serve the purpose. 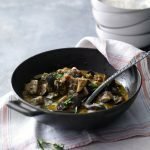 Made with our vegetable of the moment, the aubergine, this recipe is packed full of fantastic antioxidants to help keep those colds and flu at bay! Meanwhile, toss together the aubergine, pepper and onion in the remaining oil and season. Arrange over the base of a roasting tin and cook in the oven for 10 minutes. 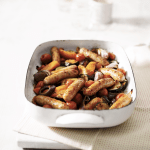 In a 2 litre ovenproof dish, layer up the roasted vegetables with the sliced potatoes and tomato sauce, seasoning each layer. Finish with a layer of potatoes, and then tomato sauce. Cover with kitchen foil. Bake for 45–50 minutes until the vegetables are tender and the top is golden, removing the kitchen foil halfway through cooking. Leave to stand for 5 minutes for the flavours to settle before serving with crusty bread and a salad. 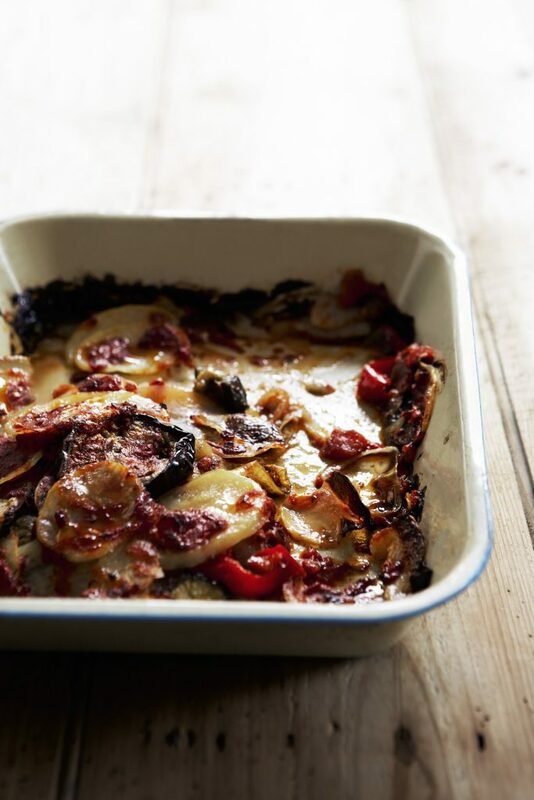 This flavoursome tomato-based, rustic bake is perfectly suited to a juicy yet full-bodied Italian red such as the Poggiotondo, Cerro del Masso 2006 Chianti, Tuscany, Italy, also suitable for vegetarians. Thanks to Waitrose for supplying this homey recipe. Take a look at their recipe site where they’ve thousands of recipes to inspire!